A drug-driver was caught by police after they stopped his vehicle and could smell cannabis. Theo Theodoulou, 32, of Strathalan Close, Darley Dale, Matlock, had been on Whitecotes Lane, at Walton, Chesterfield, when police stopped his vehicle after carrying out speed checks. Prosecuting solicitor Becky Allsop told the Chesterfield magistrates’ court hearing on August 1: “A police officer was carrying out laser speed gun checks and saw a vehicle driving at 33mph and decided to stop it. However, Mrs Allsop added that when Theodoulou was stopped he had two passengers and there was a strong smell of cannabis and there was a positive reading after a drugs swipe. 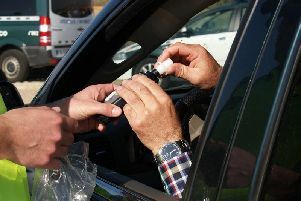 Theodoulou gave a blood sample and he was found to be more than twice the specified legal drug-drive limit. He pleaded guilty to exceeding the drug-drive limit after the incident on March 10. Defence solicitor Julia Jackson said Theodoulou had said he had smoked cannabis previously that morning and he had not been aware it would still have been in his system. Magistrates fined Theodoulou £300 and ordered him to pay £85 costs and a £30 victim surcharge.